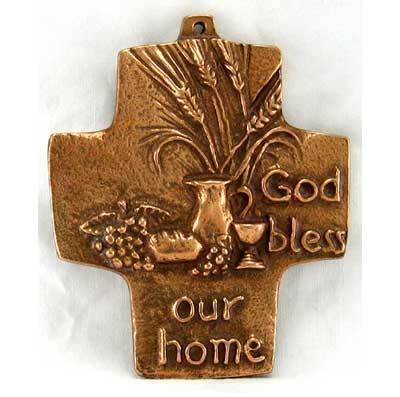 We are proud to carry original bronze work from European monasteries to provide a spiritually moving experience. Each piece is made of solid bronze and imported from Germany. "God bless our home". Such a lovely prayer for all homes... big and small... old and new. This is a cross of promise from the art studio of Butzon and Bercker, Germany. The cross can be hung or displayed flat on a table or desk.